Toy Fair 2010 or The Year of Exploding Collections! I am sure that everyone was following all the news coming from this years Toy Fair in New York City last weekend. I certainly was! Rather than trying to list everything, I thought I would just summarize some of the highlights which I found interesting about some of the lines that I collect and hopefully you will as well. There are lots of great things to look forward to coming this year. Lots of great figures are coming for this line. I’ve already seen all of Wave One at Toys ‘R Us and I even picked up as many as the wallet would allow last week. I hope to finish finding the rest this weekend. These figures really look great and who doesn’t want to build up their “Hall of Armor” in any scale. There will be some exclusives in the 6 inch scale later this year at both Target and Walmart, but most of the offerings will be in 3.75 inch scale. The Crimson Dynamo I picked up last week had number 25 on the package, so I’m betting we see at least that many this year. These come in three categories: Movie, Comic and Concept Armors. There will also be several Deluxe versions with snap-on armor parts and vehicles as well. More great pictures at ActionFigurePics.com. Once again the emphasis is on the smaller 3.75 inch scale throughout the year. Personally, I’m mostly staying away from these as they have much less articulation than the Marvel Universe figures and seem geared more towards kids. I can wait for versions of these characters to eventually be released in Marvel Universe form. 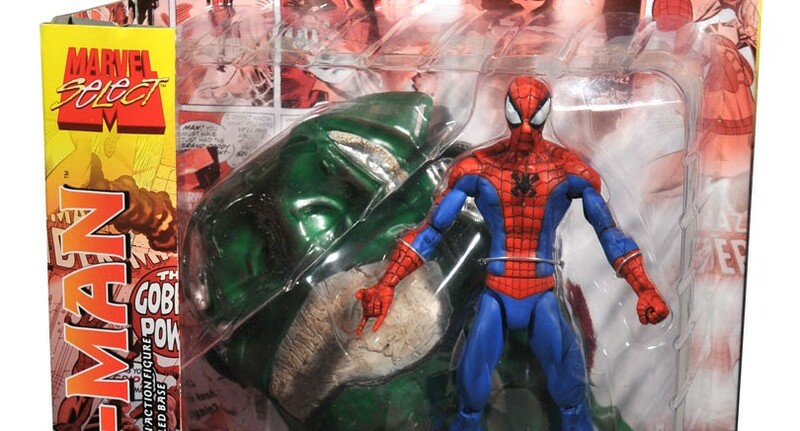 If you are collecting these, you can expect multiple Spider-Man variations and a couple of villains in each wave. The 6 inch scale figures will also continue with mostly re-releases, such as Carnage, Venom and Juggernaut in the early part of this year and some new offerings in the fall. 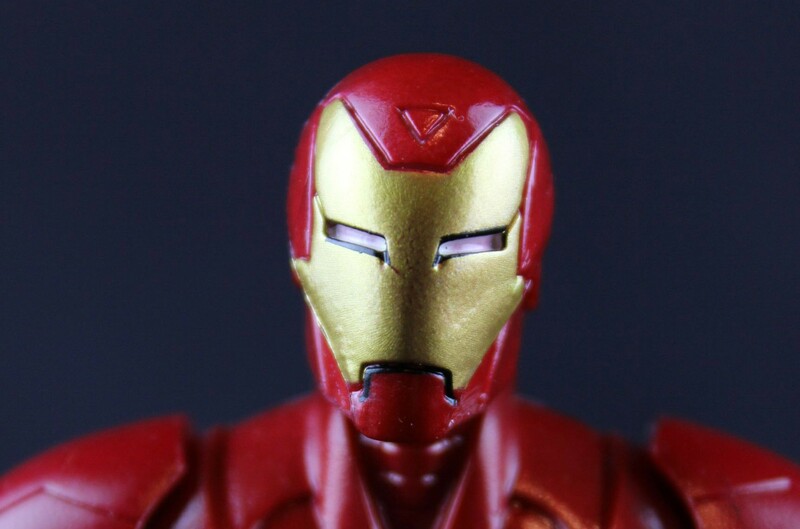 Here are some pictures at ActionFigurePics.com. There are some great offerings coming from Mattel products this year as well. It looks like we will continue being overwhelmed by DC Universe Classics all year. I’m still looking for Wave 12 and Wave 13 is nipping at its heals. Mattel also unveiled Wave 14, which will be a another Walmart Exclusive line-up. I cannot wait for the Green Lantern Five Pack Walmart Exclusive coming later this year and that we will see more Lanterns coming as we get closer to the upcoming Green Lantern movie release. The MattyCollector.com Exclusive two packs are going on hiatus, but the two packs will continue at Walmart and Toys ‘R Us as exclusives. I will be getting the Batman and Robin two pack and possibly the Supergirl (I don’t have the blue costume version.) and Lex Luthor, (I do have this one, which is making it harder for me to justify.) but the Aquaman and Black Manta is very likely a pass. The Superman and Bizarro pack I haven’t seen pictures of yet, so I don’t know if this is a must or pass yet. Diamond Select Toys has plenty of must haves coming for me this year. (If they can make it to retail that is.) New Marvel Select, Marvel Minimates, and more ships and role-play for Star Trek were on display. 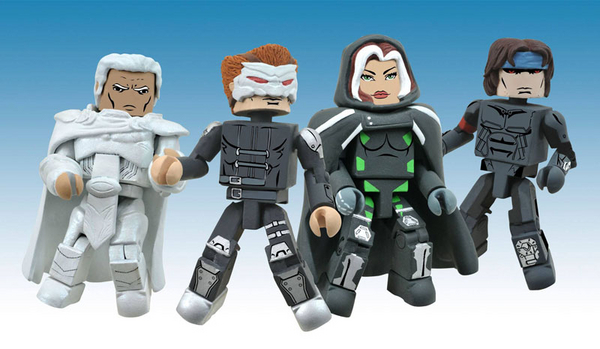 The item that I am sure I will be buying are the new Universal Monsters in the Marvel Select style. (and probably the Minimates too!) Minimates are branching out into some new properties as well. Pirates, Elite Heroes, and MAX. Several existing lines will be getting vehicles as well. Star Trek, Back to the Future, and Terminator. Minimates it seems is DST’s emphasis now and that’s OK with me. There will also be some new Marvel offerings under the Unique Quarter Scale label. Captain America and Deadpool were at the show, but photography was not allowed since they were still in prototype stage. These are a bit pricey for me, but it’s hard for me to pass on Marvel products so I may have to reconsider after I see them. The Klingon Bird of Prey looked awesome and I believe we are getting closer to the release of the Enterprise-B. The Klingon Disrupter for Trek Tek will also be in my collection. I just wish the figures could continue and am still holding out hope that more will still come. Pictures of these can be seen here at Cool Toy Review. So much is coming this year! I’ve already started talking to my wife about a bigger home, because my collection is going to explode this year. How about you? What are looking forward too? What hooked you into starting a new line this year? Leave a comment and let’s talk about it.